Saint Louis, are you ready to rock? As the Saint Louis area hunkers down for a long weekend highlighted by a major ice storm dreams of warmer temperatures fill the air. Luckliy, Live Nation helped to fuel those wishes by another announcement of a summer concert at the Hollywood Casino Amphitheatre. Def Leppard, along with Poison and Tesla have announce a massive summer tour that will bring back the glory days of hair bands. Their June 22 stop at the Hollywood Casino Amphitheatre will be near the end of the three month tour that starts April 8 in New Hampshire, while ending June 25 in Indy. Tickets for the general public go on sale Saturday, January 21 at 10:00 AM at the Gold’s Gym Box off at Hollywood Casino Amphitheatre and online at livenation.com as well as any Ticketmaster retail outlet or by calling 800-745-3000. There will be NO service fees for the first week of sales. Set to Kick off on April 8th in Manchester, NH! Premieres Via Brave Words Today! 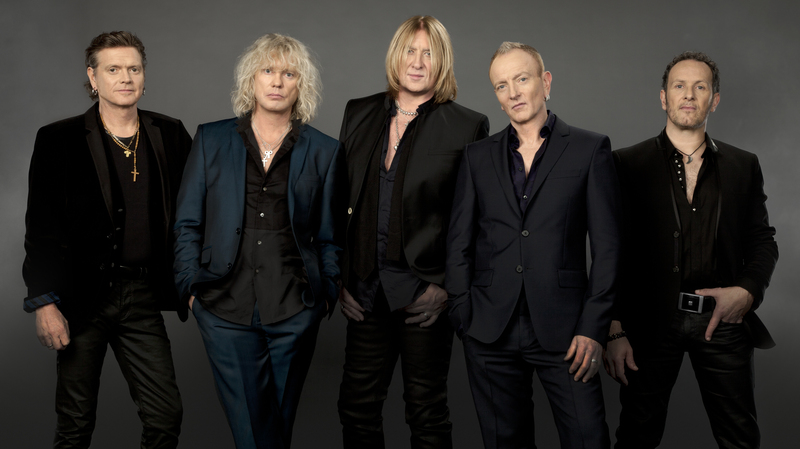 NEW YORK (Jan. 12, 2017)— Fresh off winning their fan voted Classic Rock Magazine Album of the Year award, Def Leppard announce they will return to the road this spring for a three month run across North America. The Live Nation promoted outing will storm through cities across parts of the U.S. and Canada. This new leg of dates follows the groups massive 70+ city 2016 tour and is set to kick off on April 8th in Manchester, NH and wrap on June 25th in Indianapolis, IN. 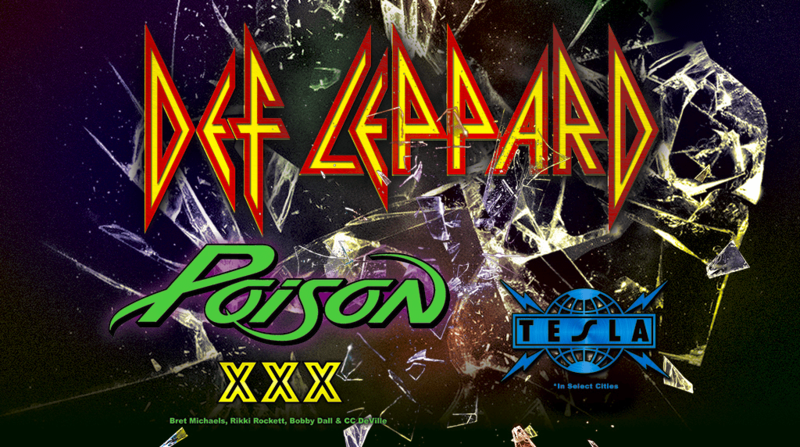 Joining Def Leppard on select dates are Poison and Tesla. Please see full tour routing below. Tickets will go on sale on January 20th and 21st at LiveNation.com. The Def Leppard Rock Brigade Concert Club presales begin on January 17th also at LiveNation.com. In conjunction with the announcement of their North American tour, Def Leppard also premieres the live video for “Animal” via Brave Words. Click here to view, we encourage you to post and share! The live video clip is from the bands recently announced concert film, And There Will Be A Next Time – Live From Detroit which will be released on February 10th in partnership with Eagle Rock Entertainment. Click here to purchase. The tour also marks the first time in over 5 years that Poison will tour with all original members. Members including Bret Michaels, CC DeVille, Bobby Dall and Rikki Rockett. Poison has sold over 40 million records and is is set to perform some of its greatest hits including Nothin’ but a Good Time, Every Rose has its Thorn, Talk Dirty to Me, Unskinny Bop and Something to Believe In.